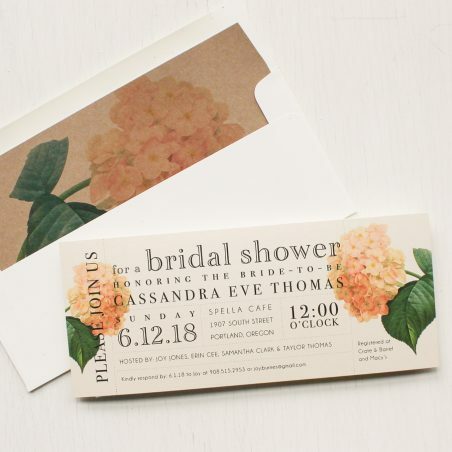 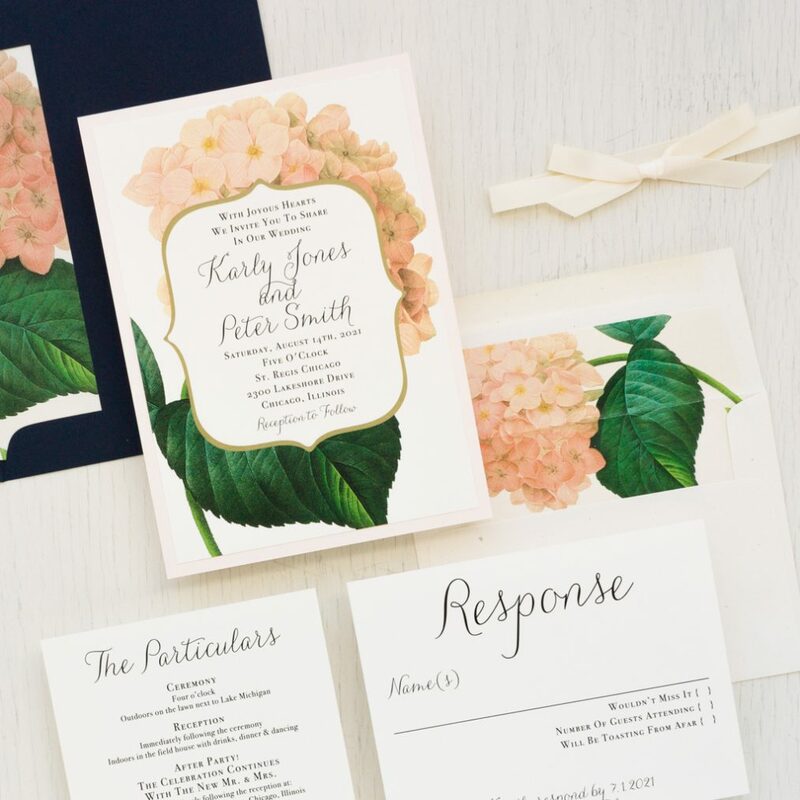 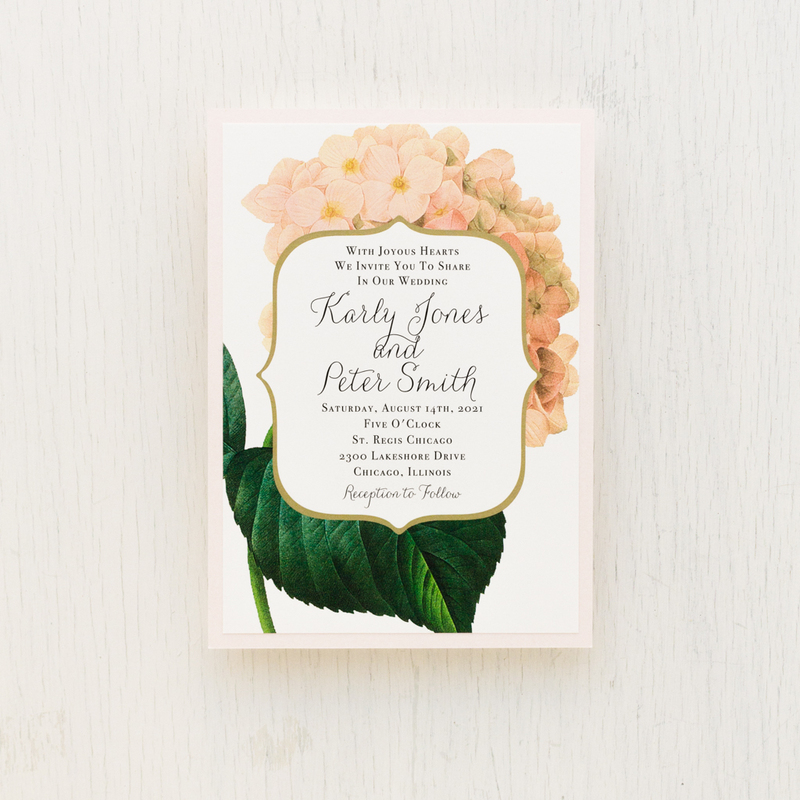 A mix of classic vintage florals and fun script, these Blush Hydrangea wedding invitations are just the right amount of sass. 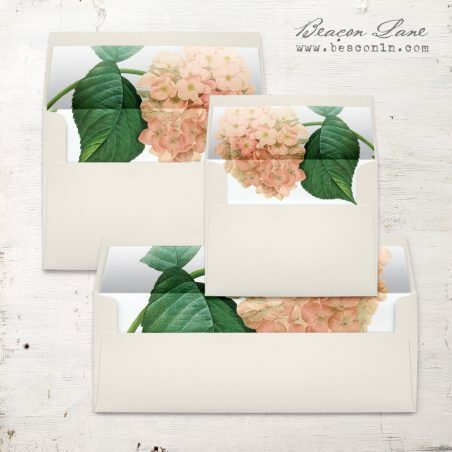 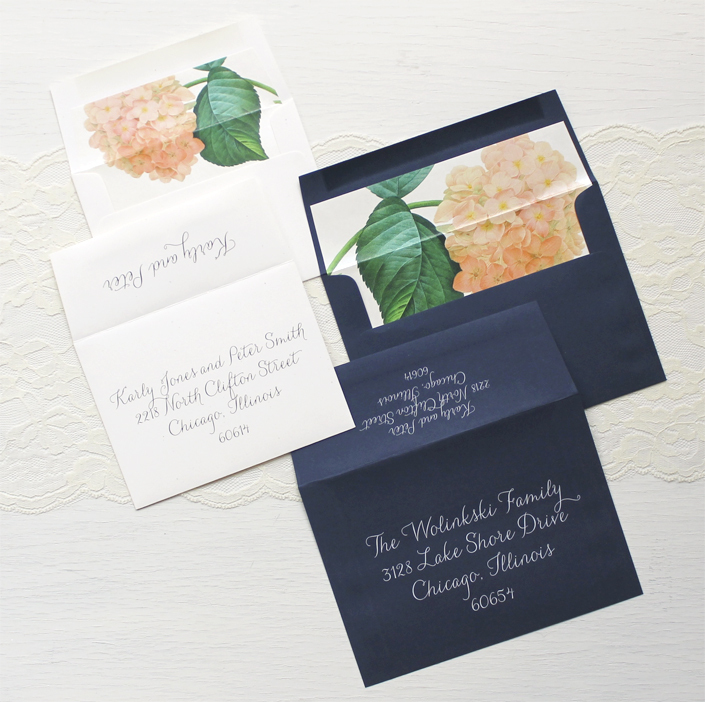 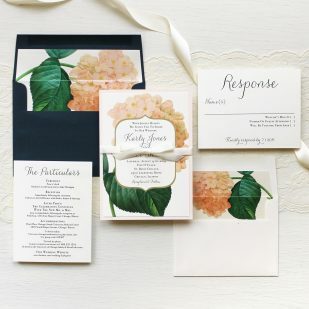 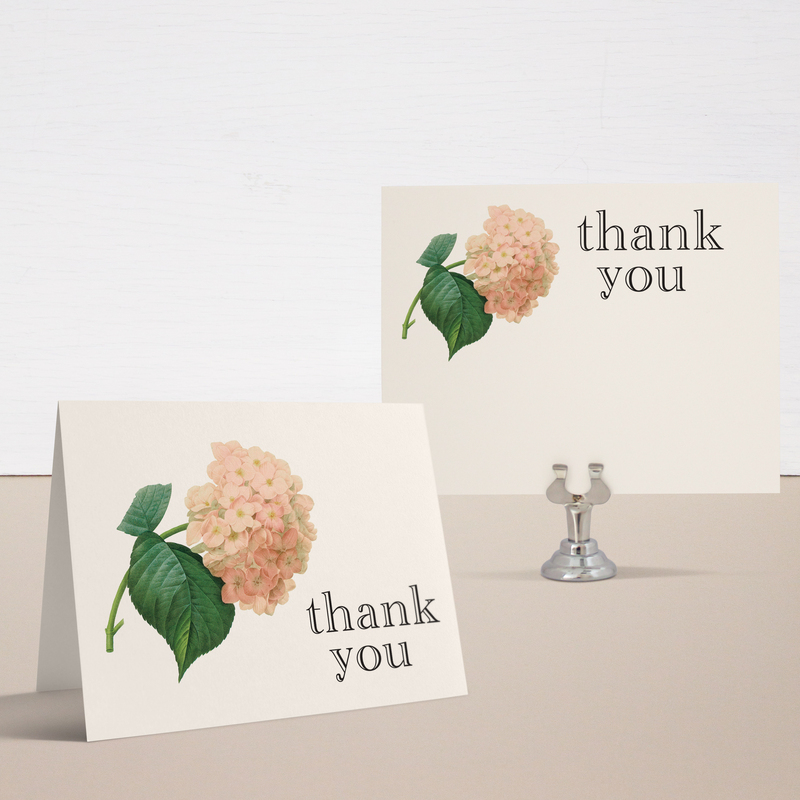 They’re inspired by romantic blush hydrangea blooms with classic touches of navy and gold. 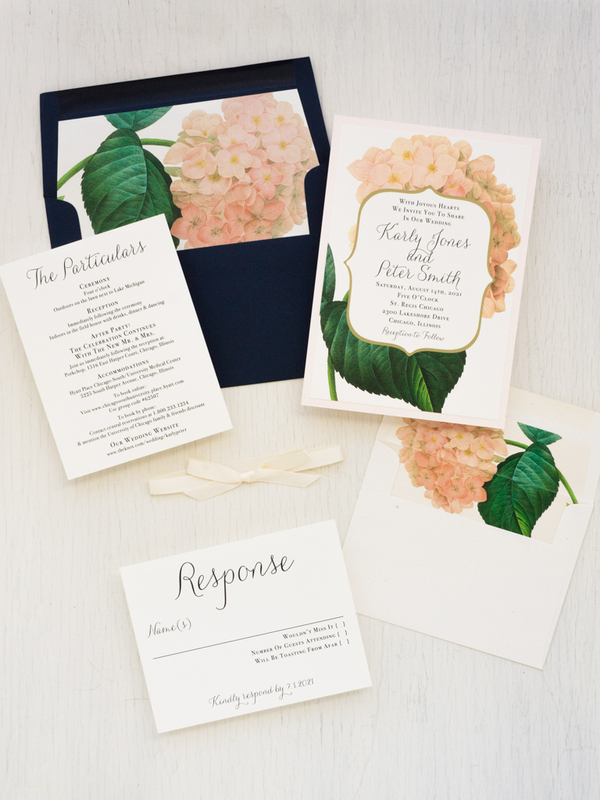 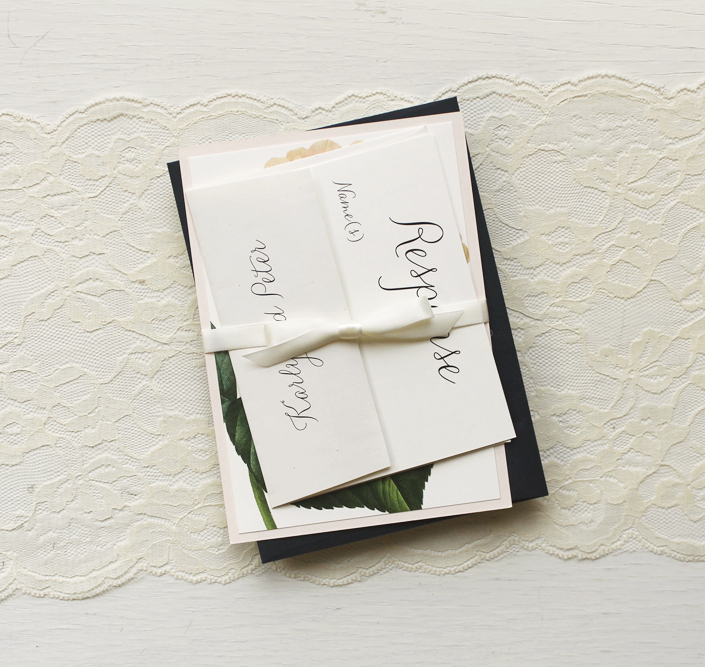 Paired with an ivory specks envelope and ivory bow tie, these little lovelies are sure to impress your guests! 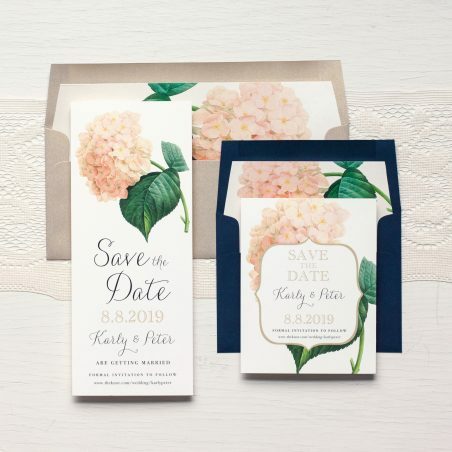 Ink colors of floral patterns are not customizable.